Despite our name, Butler Pavers does not deal exclusively with concrete pavers. We work with clay bricks, travertine/marble, cobblestone, turf block, pervious pavers and rubber pavers for playgrounds (with different fall ratings available). If it can be used to cover the ground and stand up to physical use, give Butler Pavers a call. Odds are, we can pave your walkway or patio with it. All our pavers are manufactured to the highest ASTM standards. We offer dozens of block shapes and patterns in hundreds of colors and thousands of color combinations. Pavers and other stones are available in a variety of sizes. 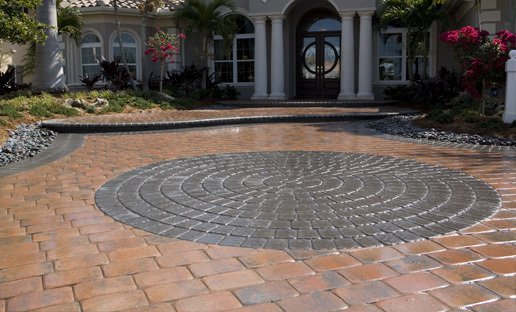 Here are a few of the paver styles and patterns that we carry. For more information, please contact our office. Site design by: Reach Out International, Inc.